The Food Institute recorded 316 acquisitions in 2012 in the broader food and beverage industry, down about 17.1 percent from 2011. True food processors experienced a similar year in 2012 as they did in 2011, with 83 total mergers last year, compared with 79 in 2011. That was the third straight year of increased acquisitions after 2009's low of 58. The Food Institute, a nonprofit organization founded to collect and disseminate information about the industry, includes in its definition of the "food industry" a number of other entities on the accompanying table, as well as brokers, consultants and other service providers, investments firms and banks, packaging and equipment suppliers, raw product and ingredient suppliers, restaurants and foodservice, retailers, and wholesalers and distributors. The major food and beverage processors were active in 2012 and made deals that are reshaping the business. Kellogg Co. became the world's second-largest savory snacks company with the $2.7 billion purchase of Procter & Gamble's Pringles brand, which earns $1.5 billion in sales across more than 140 countries. Campbell Soup Co. acquired Bolthouse Farms for $1.55 billion in cash, a vertically integrated food and beverage company focused on high value-added natural products and in possession of significant market positions in fresh carrots, superpremium beverages and private label products in the U.S. The largest acquisition, announced in late November, was the $6.8 billion purchase of Ralcorp Holdings by ConAgra Foods. Spurned by Ralcorp two years ago, ConAgra withdrew a $94-a-share cash offer ($5.2 billion) in September 2011, but returned to the table with a new proposal of about $4.95 billion (plus debt) for a smaller Ralcorp, after the private label firm spun off its Post Holdings business in February. The merger will reportedly create the largest private label packaged food business in North America, with approximately $4.5 billion in combined annual private label sales. 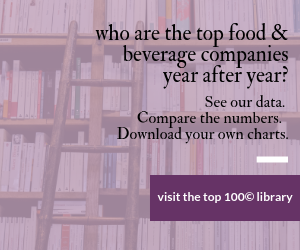 The Food Institute's comprehensive Food Business Mergers and Acquisitions 2012 provides detailed analysis on the 316 mergers and acquisitions recorded in 2012, gleaned from its ongoing database of divestiture activity. Organized into over 25 categories, the guide is a valuable resource for examining individual deals as well as exploring larger trends in specific industries or international markets. With consolidation a powerful force in the food industry, a lack of awareness of market trends and contemporary acquisitions may result in lost opportunities or a mismanaged deal. With the Food Business Mergers and Acquisitions 2012 book, one gains a better understanding of the current climate for mergers and acquisitions and a greater perspective of segments within the food industry. To purchase a copy of the 2012 publication, go to www.foodinstitute.com/manda.cfm. ConAgra was busy last year, having also bought the Bertolli and P.F. Chang's Home Menu frozen meals businesses from Unilever PLC for $267 million; and Odom's Tennessee Pride, a producer of frozen and refrigerated breakfast sandwiches and sausages; and also Kangaroo Brands, a maker of pita chips. General Mills made three deals. Domestically, the Food Should Taste Good snack brand will become part of Small Planet Foods, General Mills' natural and organic products business. In Brazil, General Mills found Yoki Alimentos. In India was the spice/sauce mix business of Parampara. B&G Foods Inc. acquired the New York Style and Old London brands from Chipita America, Inc., a subsidiary of Chipita S.A., for approximately $62.5 million in cash. The acquisition includes a manufacturing facility in Yadkinville, N.C., with approximately 250 employees. Cargill Inc. was the winning bidder in a federal bankruptcy court auction to acquire AFA Foods' ground beef processing plant in Fort Worth, Texas. The bid includes $14.1 million for the facility plus the purchase of all working capital assets. AFA filed for Chapter 11 bankruptcy protection in April 2012. Coca-Cola Co. and Select Milk Producers Inc. acquired equal equity stakes in the newly created Fair Oaks Farms Brands LLC to drive growth and expansion of the Core Power protein milk shake and to create a portfolio of brands and products that feature dairy. CorePower is currently distributed by Coca-Cola. Dole Food Co. Inc. acquired Mrs. May's Naturals, a snack company focused on healthy products. Little Crow Foods sold off some assets including brand trademarks, recipes, inventory and production. MOM Brands, the new name for Malt-O-Meal Co., got the Coco Wheats cereal line, while Gilster-Mary Lee Corp. won FastShake Pancake Mixes, Fryin' Magic and Baking Miracle Seasoned Coating Mixes. Rich Products Corp. acquired f'real foods LLC, providing Rich Products with a new product line (milkshakes, smoothies and frozen coffee beverages) and greater penetration into the convenience store. Rich also family-owned Goglanian Bakeries, significantly expanding Rich's pizza business and provide a line of par-baked pizza crusts, flatbreads and pitas. TreeHouse Foods Inc. acquired the aseptic cheese and pudding business of Associated Milk Producers, a dairy marketing cooperative. TreeHouse also acquired substantially all of the assets of Naturally Fresh Inc., a maker of refrigerated dressings, sauces, marinades, dips and specialty items. Baked goods producers were involved in seven deals in 2012, three more than the previous year and the most since 2008. Flowers Foods, the marketer of the Nature's Own and Tastykake brands, added to its sizable portfolio with the acquisition of Lepage Bakeries, the maker of regional brands Country Kitchen and Barowsky's. Flowers Foods also entered into a deal with a unit of Mexico's Grupo Bimbo to get perpetual, exclusive and royalty-free licenses to the Sara Lee and Earthgrains brands for sliced breads, buns and rolls in California and the Oklahoma City market area. And in 2013, Flowers won at auction bankrupt Hostess's bread brands, including Wonder Bread. Brewers, Distillers, Wineries experienced an average year in merger and acquisition activity. Anheuser-Busch InBev was involved in two deals. Its completed acquisition of Premium Beers gave the company a 33-acre warehouse and distribution center in Oklahoma City, while its proposed purchase of Grupo Modelo, which possesses a greater than 50 percent market share Mexico, was challenged Jan. 31, 2013 by the U.S. Department of Justice in a civil antitrust lawsuit. Mergers and acquisitions among confectioners in the past year was in line with previous years. The most significant deal in 2012 was the merger of Farley's & Sathers Candy Co. and Ferrara Pan Candy Co., creating the Ferrara Candy Co. Farley's & Sathers has purchased numerous candy brands over the past decade including Brach's Confections, RainBlo and Fruit Stripe gum, and Now and Later candies, while Ferrara Pan produces the Atomic Fireballs and Lemonhead brands of candy. Catterton Partners, the private equity firm that owns Farley's & Sathers, will remain as a majority investor in the combined company. The dairy category was involved in 133 percent more mergers and acquisitions in 2012 than in 2011, and recorded the most in that category since 2009. Most of the deals represented a larger company purchasing assets of a smaller one, for example the California Dairies Inc. purchase of Security Milk Producers Assn., a milk cooperative that produces around 1.3 billion lbs. of milk a year and with sales of around $300 million. Consolidation continues to be a prime motivator in dairy industry mergers and acquisitions, and the Land O'Lakes cooperative purchase of the chilled dairy desserts company Kozy Shack Enterprises also fits that mold. Canadian dairy products maker Saputo Inc. purchased the Morningstar Foods division of Dean Foods Company for $1.45 billion. Morningstar Foods is a manufacturer of dairy and nondairy extended shelf-life and cultured products, including creams and creamers, ice cream mixes, whipping cream, aerosol whipped toppings, iced coffee, half and half, value-added milks, sour cream and cottage cheese. Separately, WhiteWave Foods Co., then a controlled subsidiary of Dean Foods, agreed to sell certain assets owned by the company to Morningstar Foods for $60 million. Following a down year for fruit and vegetable processor merger activity, 2012 brought about 266 percent more acquisitions than in 2011. Tomato producer Lipman went on a veritable produce shopping spree, buying Branscomb Produce, Combs Produce and the Ace Tomato Co. packing house across the U.S. in California. Seneca Foods also signed a Memorandum of Understanding to acquire an ownership interest in Independent Foods, a Sunnyside, Wash.-based processor of canned pears, apples and cherries. Meat processors had a very difficult year, with meteoric rises in feed costs, drought in significant portions of the country and negative media coverage of lean finely textured beef, or "pink slime." In such an environment, the industry recorded only two mergers and acquisitions, down from nine in 2011 and the fewest since 2007. It is telling that the only deals made were for assets outside of the beef industry, such as a Bob Evans Farms subsidiary buying the Kettle Creations brand, which co-packed side dishes for Bob Evans Farms since 2009. And Hickory Foods Inc. purchased Peterbrooke Chocolatier Inc. Among snack food processors, notable deals included the purchase of Bachman Co.'s brands and certain assets by Utz Quality Foods. Snyder's-Lance purchased Snack Factory LLC for $340 million in cash. J&J Snack Foods Corp. got Kim & Scott's Gourmet Pretzels. The Hain Celestial Group, Melville, N.Y., purchased lifestyle brand BluePrint, a producer of raw juice based in New York City. BluePrint markets and manufactures raw, organic cold-pressed fruit and vegetable juices including BluePrintCleanse, a raw juice cleanse program designed to detoxify the body; BluePrintJuice, a line of juices; and BluePrintBar, a raw fruit and nut bar. Investment firms were active in restaurant M&A, with the most prominent example the merger of Burger King Worldwide Inc. with a subsidiary of Justice Holdings Ltd., bringing Burger King back into public trading on the NYSE under the ticker symbol "BKW." As a result of the closing of the transaction, 3G Capital, a global investment firm and Burger King Worldwide's principal stockholder, received approximately $1.4 billion in cash and continued as the majority shareholder with an approximately 71 percent stake in the combined publicly traded company. 3G Capital would go on to make a big splash in the industry in February 2013 when, along with Warren Buffett's Berkshire Hathaway, it acquired of H.J. Heinz Co. in a $23 billion deal, plus debt. Private equity firm Brynwood Partners VI sold portfolio company Balance Bar Co. to NBTY, a portfolio company of The Carlyle Group and manufacturer of vitamins, supplements and active nutrition products. Balance Bar, founded in 1992, was acquired by Brynwood Partners VI from Kraft Foods in 2009. One major deal announced in 2012 that didn't close by year-end was Itochu Corp.'s acquisition of Dole Food Co.'s worldwide packaged foods and Asia fresh produce businesses for approximately $1.69 billion in cash. The buy did close this year. Dole Worldwide Packaged Foods produces canned pineapple, canned pineapple juice, fruit juice concentrate, fruit in plastic cups, jars and pouches, fruit parfaits, healthy snack foods and frozen fruit. The unit also grows, sources, ships and distributes fresh fruit and vegetables, principally in Asia. The combined revenue of these businesses totaled approximately $2.5 billion in 2011.